The Grand Cayman Urn has a massive 20L capacity. The Grand Cayman has a variable thermostat control knob to ensure that your guests always get hot water. 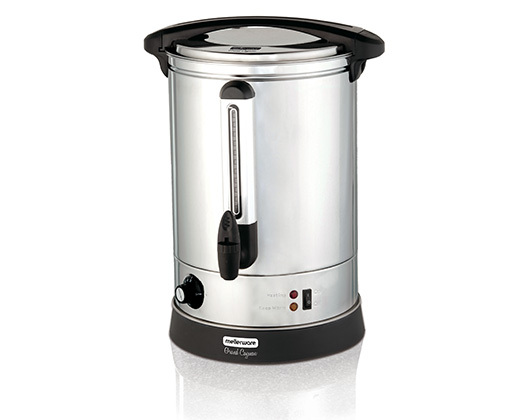 The Grand Cayman Urn has a safety boil dry protection and 360 degree rotatable non-drip tap for easy use. Keep an eye on the Grand Cayman with a clear water level indicator on the front of the Urn. It has a polished stainless steel body and lockable lid with cool touch handle for your safety. Lockable lid with cool touch handle. Boil dry cut out safety.